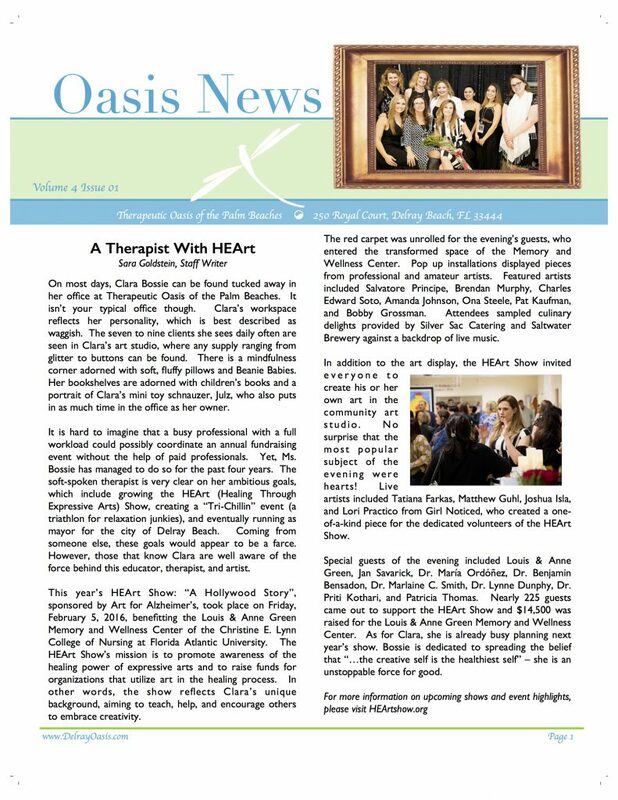 Healing Through Expressive Arts, Inc. is pleased to announce that it has chosen the The Milagro Center of Delray Beach as the beneficiary for next year’s HEArt Show, which will take place on February 25, 2017. The annual event showcases the work of both amateur and professional artists, while raising funds and awareness for community organizations that utilize art in their programs. Previous recipients include The Body Positive and Louis and Anne Green Memory and Wellness Center at Florida Atlantic University. Clara Bossie, LMFT, HEArt Show Founder and Creative Director explained, “The Milagro Center truly showcases the power of expressive arts to heal both individuals and communities. We are very excited to partner with them for 2017.” Proceeds from ticket and art sales will be donated to the Milagro Center in order to assist with the organization’s mission. Per the Milagro Center’s website, the organization’s mission is to enrich the lives of children through cultural arts, living values and academic support. “We are just thrilled to have been selected as the 2017 beneficiary organization for the HEArt Show”, states Glenn Mueller, Director of Grants Administration for the Milagro Center. To learn more about the HEArt Show, please visit heartshow.org.